Fans of science and hard SF -- and such are a fair chunk of folks visiting here at SF and Nonsense -- care about progress in the hard sciences. Hard, in both cases, if in separate ways, meaning rigorous. Not squishy subjectivity or recourse to wishful thinking about how the universe ought to work. Not science (or, worse, "science") merely as colorful backdrop to the story. Ever wonder if we're alone? 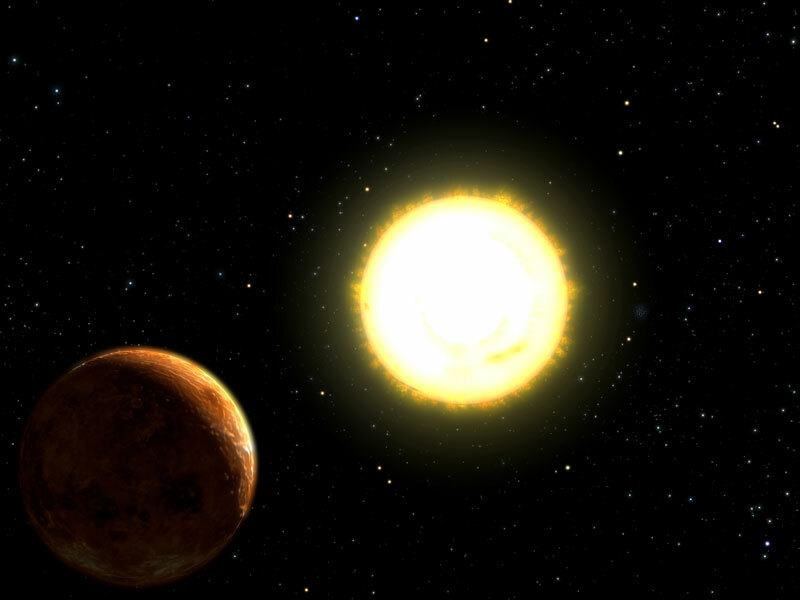 Whether (as yet hypothetical) life out there might be anything like terrestrial life? Then the prevalence of worlds amenable to Life As We Know It will be a factor of interest to you. You'll want to read (from Space.com) precisely how, " 'Habitable Zone' for Alien Planets, and Possibly Life, Redefined." They found that the green space rock had a low magnetic intensity when compared to any other space rocks documented till date. On considering the data sent by NASA's Messenger spacecraft that is currently orbiting Mercury ...Mercury has low magnetism that matches the characteristics of NWA 7325. Apart from this, they noted that the meteorite has low iron content and even Mercury's surface is very low in iron content. This confirms that the meteorite's parent body matches Mercury. Gold is likely created as an afteraffect [sic] of a collision between two neutron stars. These collisions happen in our galaxy only about once every 100,000 years. Does it sometimes seem as though everything is changing? Here (from Ars Technica) is one more change to add to the list. "Turbulence ahead: Interstellar wind changes direction, blows faster." Much in the sky changes over time. Consider this (sloppily written) headline from Yahoo! 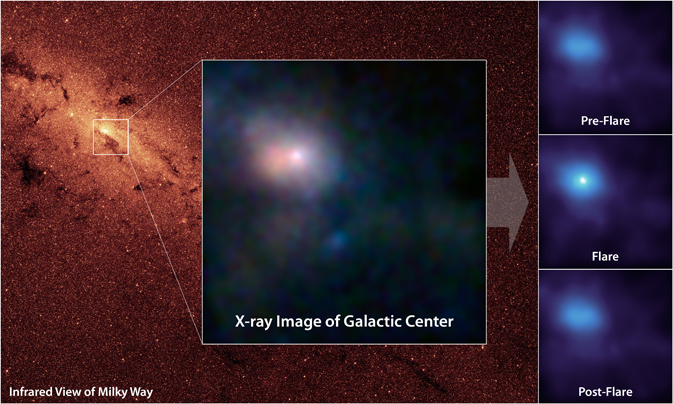 News: "Early humans probably saw a super-massive black hole in the night sky." At the center of the Milky Way galaxy, about 25,000 lightyears away from our tiny little blue planet, lurks a slumbering monster: A super-massive black hole that, according to astronomer estimates, is about the size of four million suns. One has to squint hard, IMO, to consider homo habilis "early humans." But how hard must you squint to to see a black hole? Hah! Trick question. You can't see a black hole, of course. That said, you might see its effects. In the case of a supersized black hole on an eating binge, those effects are likewise supersized. A couple million years ago, the case can be made, the region around the black hole at Milky Way's core was about ten million times brighter than today. Lest I leave any misimpression that physics and astronomy knows it all, check out this Live Science summary of "The 9 Biggest Unsolved Mysteries in Physics."